I almost need to put a disclaimer on this post… or at least apologize for it, because after you read this post, you are going to want this product SO BADLY you will become super depressed that it doesn’t exist yet. I’m not kidding. I just went through the same problem. 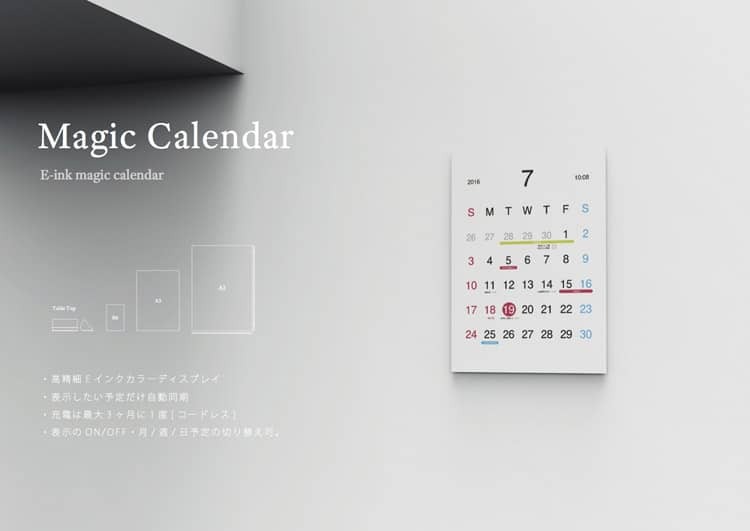 It’s called the Magic Calendar, and the potential for the technology is seriously amazing. What it is, is a paper like quality device that syncs with your Google Calendar to display to the rest of your house. I know some parents that will allow you to pry their white board or chalk board calendars from their cold dead hands. This would be such an amazing solution for them, since it has the convenience of being able to add to it on the go, or check it while you are out and about, BUT also has the ability to be visible at all times in a specific location. Check out this video about it, and then cry that it’s not a real device yet….